​David Reid completed his Bachelor of Music at the University of Melbourne and later studied choral and orchestral conducting in Salzburg and Budapest. He has played bassoon, clarinet and saxophone in Melbourne, Ballarat and Adelaide. He has also worked with many choral and orchestral groups and theatre productions. He was Head of the Music Department at Salisbury CAE and later a Senior Lecturer in Music at the University of SA, Magill. 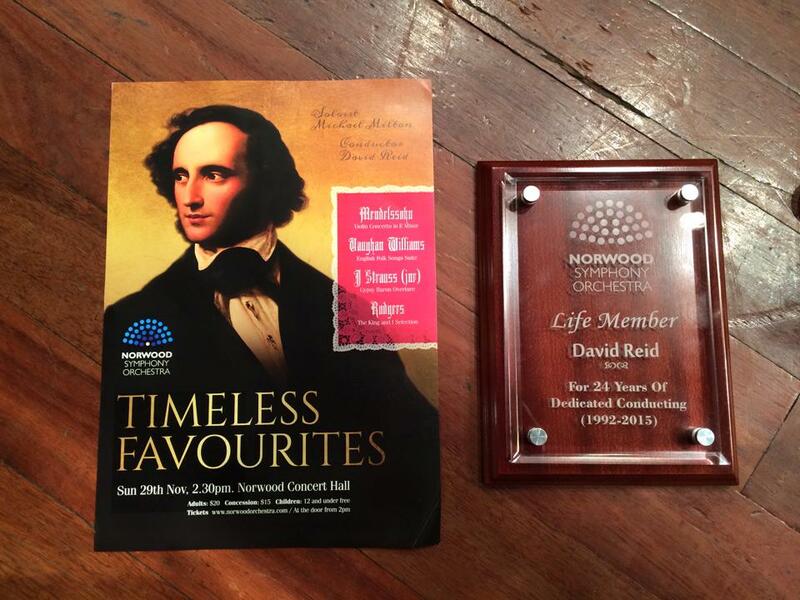 David was Conductor of the Norwood Symphony Orchestra between 1992 and 2015 where he retired after his final concert on Sunday 29 November 2015.